On March 26, 28 PATH Intl. Certified Instructors gathered at BraveHearts Therapeutic Riding and Educational Center, a PATH Intl. Premier Accredited Center in Harvard, IL, for a PATH Intl. intensive training focusing on working with military veterans in equine-assisted activities and therapies (EAAT). The event was funded by a grant to PATH Intl. from the Veterans Administration. The course was a blend of classroom presentation, small group activities and arena hands-on instruction. Topics included Veteran populations, suicide prevention, contraindications to EAAT, mental health first aid, horse retention and teaching techniques to challenge riders. After-hours opportunities were also offered for attendees to teach with veterans and gain feedback from course instructors. 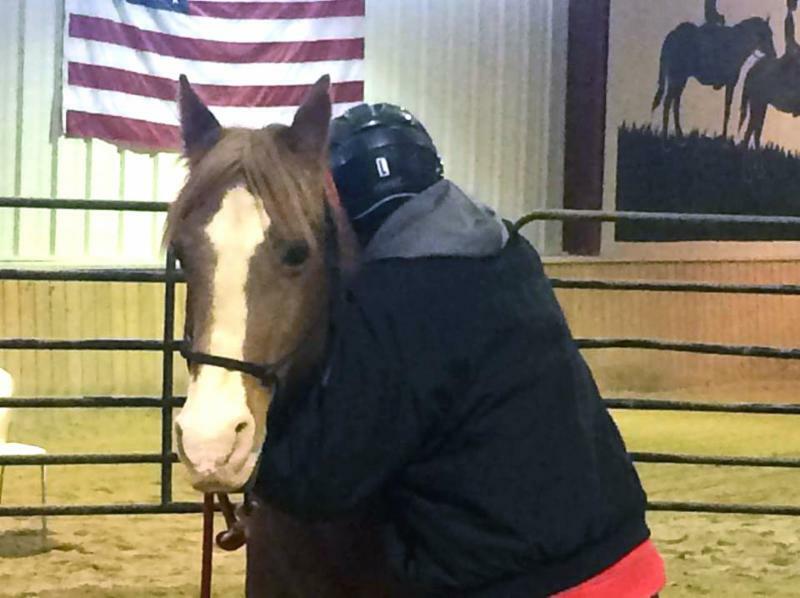 "Over the last six years we have been working to build and grow our program," said attendee Colleen Kimener Trepen, Veterans Lead at Charleston Area Therapeutic Riding, Inc., a PATH Intl. Premier Accredited Center in Johns Island, SC. "In that time there have been many changes in the veteran community from the way our local VA refers veterans to the semantics in referring to veterans and their challenges. I found the workshop to be relevant and current. Keeping current can only help us brand our programs in attracting veterans and those whom refer them." Colleen continued, "It was also great to have a learning opportunity outside of the traditional certifications. I am so glad PATH Intl. is beginning to offer more webinar training and more hands-on workshops and certificates like this one. It is great to encourage continued learning in our industry and thank you for making that one of your goals." Another workshop attendee noted on the PATH International Equine Services for Heroes® Facebook page, "This was a great training opportunity. Ready to serve hundreds of vets." If you have questions, contact Bret Maceyak, PATH Intl. Certification Coordinator. The 2015 conference scholarship application and the 2015 Marjorie V. Kittredge Equine-Facilitated Psychotherapy and Learning Scholarship application are due by email to Karen Province no later than June 20, 2015. Everyone is encouraged to apply! Click below to download applications or find them on the 2015 PATH Intl. Conference page. Nominations of those certified professionals, equines, volunteers, veterinarians and equestrians to be recognized at the PATH Intl. Awards Banquet, November 6, 2015, are due by May 20. The James Brady nomination forms and award criteria have been updated for 2015. Click here for information about the new criteria and for the nomination forms. Click here for all the PATH Intl. award nomination forms. 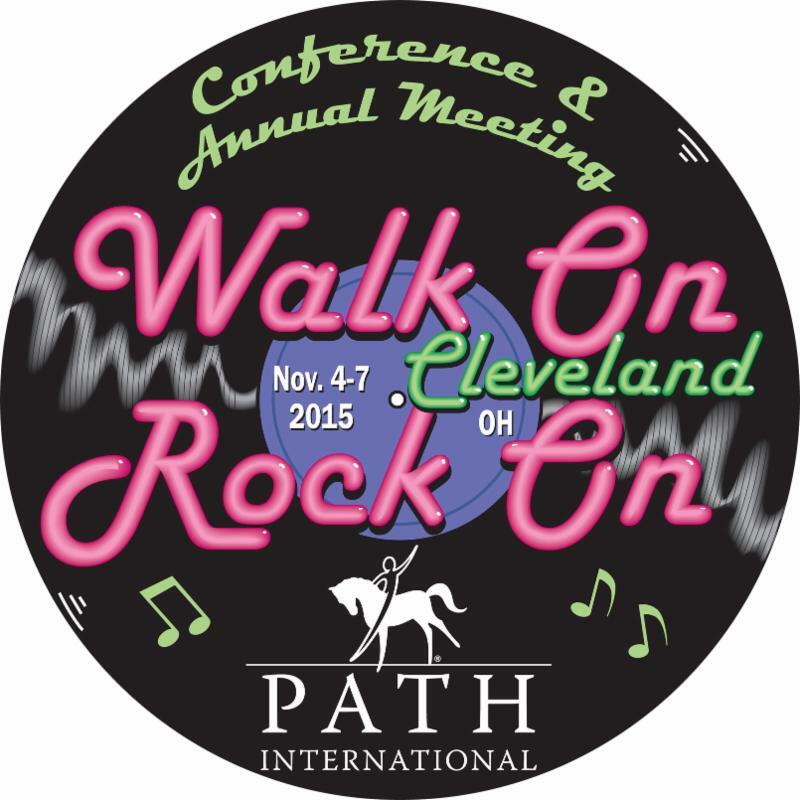 Don't forget to submit your annual Evaluator Compliance forms to Bret Maceyak at the PATH Intl. office by April 31st. (Deadline has been extended from April 1st.) The form can be found on your 2014 Evaluator Update flash drive or in the Riding Evaluators Hightail dropbox. Please be sure to regularly visit the PATH Intl. Community Connections Riding Certification Evaluators group to stay abreast of updates and changes throughout the year. I have a potential new student who suffers from Neurofibromatosis. The lesson is 45 minutes long and I'm hoping other instructors are able to suggest/share tips and experiences of what they included in their lesson plans for this condition. I'm focusing on upper body strength and balance but wonder if I'm missing anything else beneficial. Read the responses here and add your feedback. The Horses and Humans Research Foundation (HHRF) has posted its Letter of Intent Guidelines for those wanting to submit a proposal for the research innovation grant. Research grants will foster research focused on new ideas that have strong potential for a meaningful impact to bridge the gaps in our understanding of horse-human interactions.The goal of the program is to advance the scientific understanding of the relationship between horses and humans and their role in contributing to the wellness of people. The deadline is May 15, 2015. Click here for information. The United Professional Horsemen's Association (UPHA) Exceptional Challenge Cup committee has announced the launch of an Assisted Walk and Trot Class to be held at the 2015 UPHA American Royal National Championship Horse Show, November 10-14. This new class will open the Exceptional Challenge Cup program to many new participants and will broaden the UPHA's visionary reach toward providing positive competitive goals for all equestrians. Information for this class is available on both the Exceptional Challenge Cup Facebook page and on the UPHA Exceptional Challenge Cup page on the UPHA website. They are also available by contacting the Committee Chair Renee Biggins at (502) 722-5068. If you are interested in hosting a UPHA Exceptional Challenge Cup class, please contact the UPHA office at (859) 231-5070 or email Renee Biggins. Check the Region Conferences Calendar for dates, locations and registration information. PATH Intl. is offering exhibitor opportunities at several of the regional conferences. Exhibitors may purchase this regional package, which includes one table, two chairs and listing in region-specific conference eblasts, for $100. Click below to download the exhibitor flyer and form for regions currently accepting exhibitors. If you know of anyone interested in exhibiting, please share the information with them. If you have questions please contact Jaime Covington, ext. 125. At this time PATH Intl. is conducting a call for papers for the following regions. Presentation topics vary and may include, but are not limited to, riding instruction, hippotherapy, equine-facilitated mental health, driving, vaulting and administration. Conference abstracts can be of a practical nature and do not need to be based on research. Click on the conference title to begin the abstract process. If you have items to donate for the region conference silent auctions please bring them with you to the conference. Any revenue generated helps offset region conference expenses, which helps to keep registration fees down. If you have questions, contact Amanda Walters, ext. 105.